[news] FT Island comeback in August/September 2010? Seems like Hongki's birthday party provided us really good news (more than the fabulous video of the private party). II. In order to do a bigger promotion to boost Japanese Market, Warner Music needs the boys to stay there for 5 months for more activities like fanmeeting, magazine, interviews, short concert etc. III. 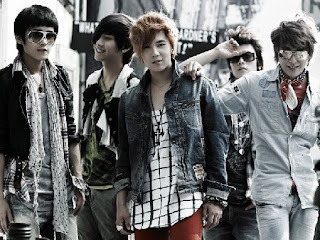 After promoting single, F.T Island will focus on their comeback album in Korea, which should be released in August/September 2010. It's believed their 6th album will be a bomb since it's a combination of both F&C and Warner Music. IV. Although boys will be working on their new single and album, they'll also have their new Japanese show which will be aired starting 7th April."